Favorite Program Board event: Winter Wonderland! An event on campus where we bring over 60 tons of snow for students to sled, play, and snowball fight in! Favorite Program Board memory: My first event I ever programmed, it was the premiere of GET OUT. It was such a crazy experience for me, the audience was NUTS! I have never been more proud of something in my life. Why did you decide to join your program board? 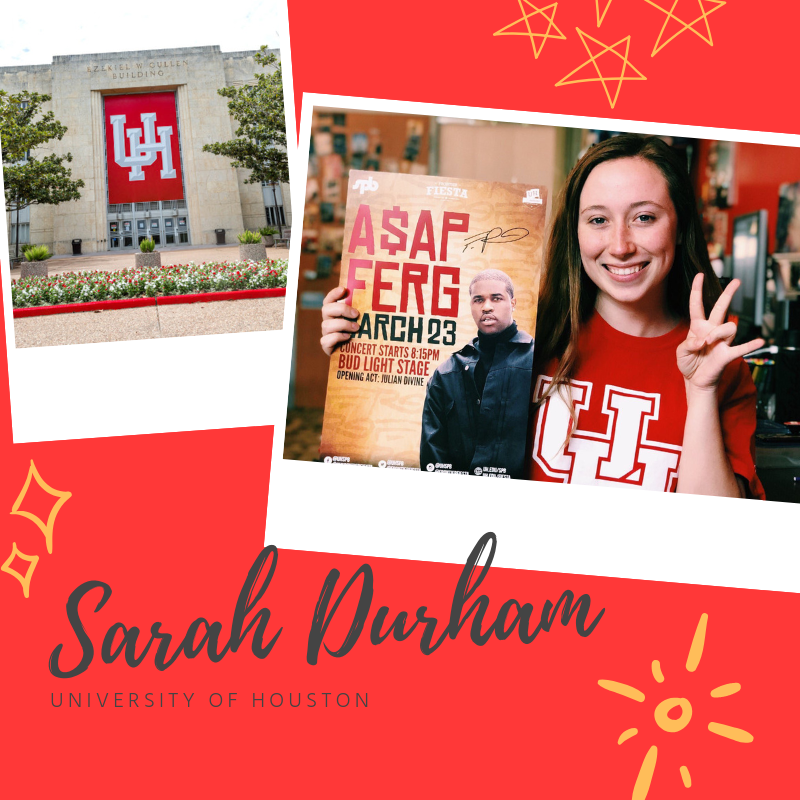 I wanted to get involved on campus and make an impact on not only my experience at UH, but for others too. I commute to campus and so do 70% of students here as well, so campus nightlife hasn’t been a huge thing in the past. This is something I wanted to change! One piece of advice for incoming student leaders: Become adaptable and learn to make sacrifices. College will be one of the best experiences in your life, but it will come with hard choices that you have to make on your own. This is just a part of life! Post-Grad Plans: Pursue an event coordinating career, not sure yet where exactly I want to land, but I enjoy concerts and sports events!